Known as Population III stars, the first stars were massive and short-lived. They contained only hydrogen and helium, but through fusion began to create the elements that would help to build the next generation of stars. Scientists have been hunting for traces of the first stars for decades. "Those stars were the ones that formed the first heavy atoms that ultimately allowed us to be here," David Sobral, an astronomer from the University of Lisbon in Portugal, said in a statement. Sobral was part of a team that identified a bright galaxy with evidence of Population III stars. "The detection of dust in the early universe provides new information on when the first supernovae exploded and hence the time when the first hot stars bathed the universe in light," ESO officials said in a statement. "Determining the timing of this 'cosmic dawn' is one of the holy grails of modern astronomy, and it can be indirectly probed through the study of early interstellar dust." Early stars aren't the only way to place limits on the age of the universe. Dense collections of stars known as globular clusters have similar characteristics. The oldest known globular clusters have stars with ages that appear to be between 11 and 14 billion years old. The wide range comes from problems in pinpointing the distances to the clusters, which affects estimates of brightness and thus mass. If the cluster is farther away than scientists have measured, the stars would be brighter, thus more massive, thus younger than calculated. "Just like archaeologists use fossils to reconstruct the history of the Earth, astronomers use globular clusters to reconstruct the history of the galaxy," Andrea Kunder told Space.com. "There are only about 150 globular clusters known in the Milky Way Galaxy, so each of these globular clusters is an important tracer of the galactic halo and the formation of the Milky Way Galaxy." The universe we live in is not flat and unchanging, but constantly expanding. If the expansion rate is known, scientists can work backwards to determine the universe's age, much like police officers can unravel the initial conditions that resulted in a traffic accident. Thus, finding the expansion rate of the universe — a number known as the Hubble constant — is key. A number of factors determine the value of this constant. The first is the type of matter that dominates the universe. Scientists must determine the proportion of regular and dark matter to dark energy. Density also plays a role. A universe with a low density of matter is older than a matter-dominated one. In 2012, WMAP estimated the age of the universe to be 13.772 billion years, with an uncertainty of 59 million years. 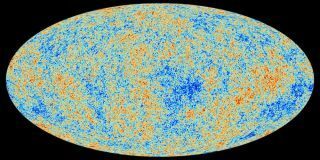 In 2013, Planck measured the age of the universe at 13.82 billion years. Both of these fall within the lower limit of 11 billion years independently derived from the globular clusters, and both have smaller uncertainties than that number. NASA's Spitzer Space Telescope has also contributed to narrowing down the age of the universe by reducing the uncertainty of the Hubble constant. Combined with the WMAP measurements, scientists were able to make independent calculations of the pull of dark energy. "Just over a decade ago, using the words 'precision' and 'cosmology' in the same sentence was not possible, and the size and age of the universe was not known to better than a factor of two," Wendy Freedman of the Observatories of the Carnegie Institution for Science in Pasadena, California, said in a statement. Freedman lead the study that used Spitzer to refine the Hubble constant. "Now we are talking about accuracies of a few percent. It is quite extraordinary." Editor's Note: This article was updated on Jan. 8, 2019 to reflect a correction. The original article stated that the oldest stars have been estimated to be up to 18 billion years old.